Marriage on decline in England. For the first time in England’s history, married couples are now in a minority. According to the country’s Office for National Statistics (ONS), 51% of people in England are choosing to either live together or stay single (the latter group includes widowed and divorced). 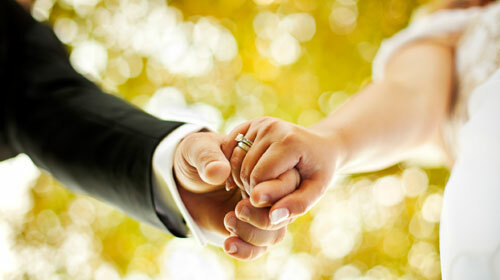 The ONS reports that England’s marriage rates have been in decline since the 1970s. In 1981, nearly 64% of English people were married. By 1991, this had declined to 58% and 54% by 2001. According to the ONS, in 2011 15.7 million of people in England and Wales (35%) over age 16 had not married, this was up 30% from the 12.7 million similarly reported unmarried in 2001. *Only included people who were married at the time of census, not those divorced or separated. With this change, England officially joins a trend in the European community where many countries find married couples in the minority. Sweden at 45% has the lowest percentage of married people, followed by Latvia, Finland, Hungary and Norway. Along a similar vein, England’s Office for National Statistics reported in 2012 that 47.5% of the country’s children were born to unwed mothers. If the trend continues, by 2016 the majority of the children will be born to unmarried mothers.